The fact that the PlayStation 4 still feels so fresh, to this day, is a testament to the incredible design work that went into it, as well as the power of the hardware it contains. That being said, the console is nearly four years old now. The PlayStation 3 lasted seven years, meaning – if we stick to a similar time period – that the PlayStation 5 could be due as soon as 2020. That may sound pretty far off to some of you, but PlayStation nuts like us are already getting excited at the simple prospect of a new Sony console! On that note, here are the 10 features we want to see in a PlayStation 5. Xbox One has backwards compatibility. The PC is chock-full of emulators which can play any game, from any year you like. Is it really, really too much to ask for the PS5 to have this feature too? With the processing power the PS5 will presumably have at its disposal, and Sony’s limitless development resources, there’s no excuse not to give this to the fans. Sony’s PlayStation VR has been a no-doubt smash hit, and for good reason. It’s not perfect by any means though, and could soon be outgunned by the likes of Oculus Rift. With a next-generation console, we’d expect next-generation VR to come with it. This is an obvious one. 4K TV’s are becoming more and more commonplace in living rooms across the country. We’d expect full 4K support for a PS5 from launch, perhaps with the flexibility and power to also adjust to whatever the next step might be in video definition. Console gamers are largely spared from the hardware wars that are fought on the PC. For better or for worse, you have to take what you get with a console. Well, in the case of the PS4, it’s definitely been for the better. The AMD graphics chip has been nothing short of fantastic, with developers still pushing it to new heights (just take a look at Horizon: Zero Dawn). If it ain’t broke, don’t fix it. We hope Sony sticks with AMD for the PlayStation 5 (albeit with a more powerful iteration of the graphics card, of course). This is something which will always be needed from a new console. As they get more complex, and everything about them – from the graphics to the sound – becomes better, games take up more and more room. The PS4’s 500GB standard hard drive sounded great… until games started taking up 50GB a pop. Here’s hoping Sony are more forward-looking with their next hard drive, and give buyers enough space to last us well into the future. A 5K HDD would certainly provide essential space, perhaps partnered with an SSD for speed. This is a case where we want evolution, not revolution. For our money, the PS4 controller was the best ever created, and it was inarguably streaks ahead of the PS3’s underwhelming effort. As such, we 100% do not want any ground-breaking changes made to its design. That doesn’t mean Sony have to stand pat, however. The motion-sensor features of the DualShock 4 were a little hit-and-miss, for example, and would be one area which we’d be happy to see improved. Okay, we get it; this one’s controversial. But there are several strong arguments for finally getting rid of the disk drive on the PlayStation 5. Plenty of modern laptops come without them. Fewer people are buying DVDs all the time, preferring to stream their content online. Nobody misses CDs now; we just got used to consuming our music in a different way. It would make the PS5 slimmer, sleeker and lighter. Having said all of that, it would be a massive gamble for Sony to actually take the disk drive out of the PS5, and not one which we’re necessarily expecting! Okay, so if we do really have to keep the disk drive, can we at least make it 4k Blu-ray compatible? There aren’t many trump cards that the Xbox One holds over our beloved PS4, but that’s one of them! The current PS4 game store is a lot better than the clunky PS3 edition. Compared to something like Steam, however, we’d argue it’s still lagging far behind. We’d like a store which simply had more stuff in it. This would allow a greater possibility for indie games to flourish, or at least those from smaller studios. A Steam-like curator system, or something along the lines of Steam Greenlight, would help the cream of this additional content to rise to the top. Sony did a great job of pricing the PS4, with it actually being around £75 cheaper than the PS3 was at launch. Real wages have declined significantly for several years now, meaning people have even less cash in their pockets now than they did when the PS4 was released. We’re not asking for Sony to give the thing away for free; goodness knows these things take a lot of capital to research and build. We would, however, implore them to stick with a fair pricing structure that allows as many people as possible to enjoy their consistently fantastic consoles. 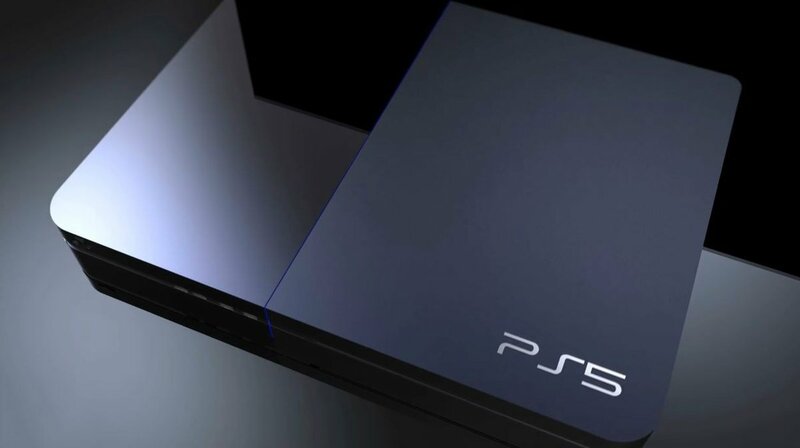 Well, there you have it: ten features we want to see on the PlayStation 5. Let’s carry on enjoying our fantastic PS4s for now… but keep one eye on the future anyway! No wonder someone did not attach their name to this. ditching the disk drive means always on line and that would be ok now when it wasnt a few year ago?…no. just make a bigger hard drive because 4k textures are huge in download size.things will remain the same the ps5 will have a hard drive. Speaking of storage, it’d be really helpful if they allowed us to copy/download/store data files (audio/video/pics) on the internal hard drive just like the PS3 allowed. Not sure why they took that feature out on PS4. Dualshock 4 is not the best controller ever created. Not even close. Unless you’re talking best PlayStation controller ever created. except this is what we are REALLY getting…. Keep disk drive because I want to be able to trade in my games. I used to think Xbox controller was the best and even used one on my PC. Then I got a PS4 for the first time since my brother had a PS2 and it is perfect don’t change it. Xbox left analog is a little to far left and high gets uncomfortable after a while. I was actually thinking of Micro SD cards for the PS5 instead of the Bu-ray discs. 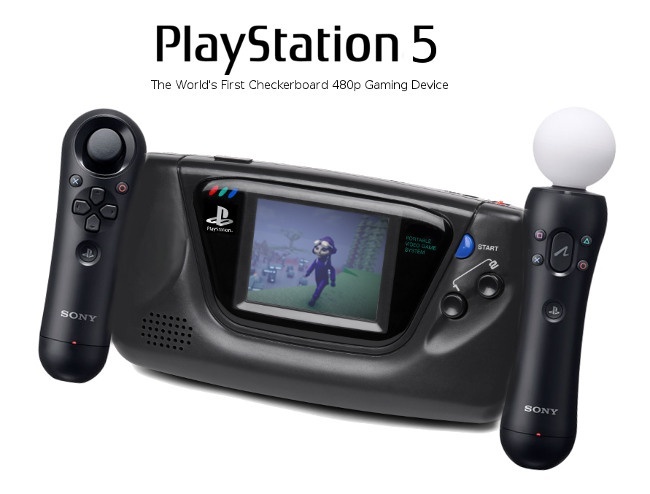 So the PS5 can be portable like a laptop. Sony’s limitless development resources(really), don’t know any company with limitless resources. Most things have limits. Whether resources, financial resources.